i just sooo love this weekend...i've finally able to get some rest and i've been getting gifts! Oh X is a real sweet bf ;)... I love Lacoste Touch of Pink too and yeah, Issey Miyake! Ha ha ha! awww Mr. X is so sweet! :) I love Lacoste Touch of pink too! I'm almost done with it!!! I Haven't tried Issey Miyake pa...hmm..I wonder how it smells like! Ooh, nice gift! 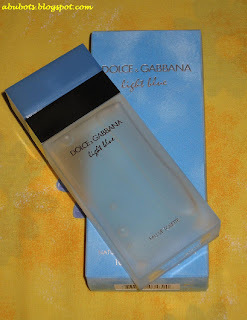 I'm so unfamiliar with colognes and perfumes, so I don't know how the D&G Light Blue smells like. Hehe. I easily get headaches when I walk by perfume counters, so I hardly ever stop to smell-test them. I do love Issey Miyake, though. My bf wears it, and it smells so good! from beloved X? you are WELL LOVED! :) lucky you! OMG I LOVE this stuff! I just bought a huge bottle of it! Everytime I wear it I swear at least 5 people tell me I smell sooo good!